I grew up in a very superstitious environment where although my mother is a practising Taoist, the teachings of Taoism at her time had been shrouded behind the veil of Buddhism. Hence, we participated in many Buddhists ceremonious rituals performed regularly at home. Because Feng Shui dates back to such a distant time that stories often re-told became myth that a great deal of folklore was assimilated into the practise of Feng Shui. They were fascinating stories. However our upbringing was in total accord with Taoist philosophy. 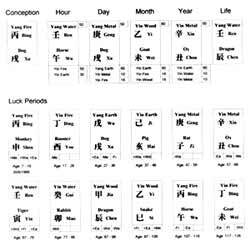 An almanac is a Chinese imperial calendar, which provides a guideline that either promotes or advises against certain tasks being undertaken on certain days depending on the combination of the Heavenly Stem and the Earthly Branch. 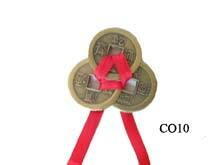 The ten Heavenly Stems are the five elements of water, wood, fire, earth and metal. The Twelve Earthly Branches are the twelve animals of the Chinese astrology: rat, ox, tiger, rabbit, dragon, snake, horse, sheep, monkey, rooster, dog and pig. 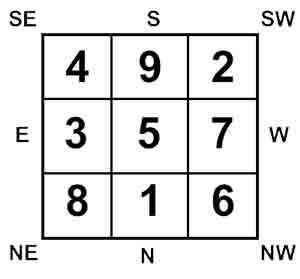 The stem and branches express each other in a 60-year cycle in terms of the five elements in their yin and yang states. To contact Sallie for a personal or on-line consultation: consultations.sallie@fengshuiweb.co.uk. In our ignorance we paid the asking price and Michael moved in a few months later, (the idea was he would do all the decorating etc and I would come in and arrange the napkins, it didn”t quite work out like that though) from the day we moved in the problems began, health problems, bad luck and a serious drain of what little money we had. Feng Shui in the UK in those days was practically unheard off as was the Internet so finding information on this subject was very hard, because of Michael”s upbringing in Hong Kong he made enquiries about it and how it affected the house we lived in, we soon learnt that the flying star for this house was very bad and in general regardless of your Min Gua number most people would suffer who lived in it. That is until you change and control the energy, we had a dream house that was turning into a nightmare but within three months our fortunes had changed for the better just by using a few simple cures. If it ain”t broken don”t fix it. Do not read too much into it though, a great example is the last house we bought we obviously did all our checks of the previous owners and at one stage decided this was not the right house for us until Michael got hold of the floor plans and took compass directions and found although the house changed hands many times over its 35 year age, it was because the house had such good energy nearly every owner had become successful in a fairly short period of time of living there and then went onto bigger and better houses. The old adage definitely came true, “if it ain”t broken don”t fix it” how many people or companies have you heard of that were very successful and then moved premises and it all turned sour, that is mainly because they have probably moved from a property with good Feng Shui to a bad one. So sometimes it is better to stick with what you have especially if it is good for you. We outgrew this house 4 years ago and rather than move we extended. You are probably thinking this is pretty much part of modern living all these types of problems, you would be right in thinking that, just look for a long history of problems with the previous owners, don”t worry if the last couple got divorced or they went bankrupt or worse still had some serious health problems, just look for a pattern over a period of time. Most bad Feng Shui homes or offices are easy to fix and just because you have the dreaded 2 & 5 stars that will cause health, wealth and bad luck it does not mean this will happen to you, even though on the whole we have a good house with regards to Feng Shui, the south sector of our home has some awful stars and it took a while to control them and believe it or not this is where Michaels office is. This is an area that has one of the worst flying star combinations you could imagine and yet he receives hundreds of requests for consultations each month, he does on average of 3-4 newspapers and magazine articles a month and enjoys more success than the average Practitioner, so just because you have some bad areas in your home it does not mean they cannot be cured. ** TIP ** Knickers, yes you heard right (not the sort of tip I would normally give but so many people swear by it), they say if you wear red knickers to a job interview, your chances are greater of being offered a position, even a visit to your bank manager. Now I have to say this only applies to the ladies, I don”t want any men saying to their partners, that Jo from the Feng Shui Store told me to wear them. I suppose red Y fronts or boxers would have the same effect. Just to clarify, you don”t just wear the knickers; it would be advisable to wear other clothes on top, although maybe that”s why I am getting such good feedback on this advice. 5: Try and avoid having a long narrow path leading to your front door, try and have a windy path and not straight. Do not plant trees too close to the front door, this will not let Ch”i enter the home freely. If you already have a straight path place some plant pots or statues along the line to break up the line of the path. 6: Avoid a house or office with a spiral staircase, it turns positive energy into negative, if you have one already hang a faceted crystal sphere at the top to try and slow it down. It won”t cure it but it will help. A shame really because I really like this type of staircase to look at. 8: Michael recently did a consultation on a very large Manor house with 17 bedrooms and 6 reception rooms, the original part of the property dated back to the 13th century, naturally the property was riddled with beams, these are not considered good and although I love them to look at I would not like them in my home, they carry a lot of weight and cause many problems in Feng Shui. You can hang a pair of flutes over them to lessen the effects but you should never sleep or sit under them. Faceted Crystals can also be used in place of bamboo flutes, i.e. hang under a beam to help deflect the energies that have an oppressive effect on the people in the room. They can be used in hallways to slow down or activate Ch”i. Crystals are ideal for energising dark or lifeless rooms or areas of rooms such as alcoves, as they will encourage more light and energy. Neither of these two cures will completely cure the problem but they will help. 9: When buying a new house or office try and go for a regular shaped property, avoid properties that have odd looking designs, the best shape is the good old rectangle or square, if it has a few extensions sticking out here and there don”t worry too much as they can be easily rectified. ** TIP ** Do not have clutter in your office; desks must be kept tidy and clutter free. This is so important, an office in China would not have paper trays on desks, and many UK and USA companies now employ the same casino online approach. I have just looked at my desk, oops, how does that saying go? “Practise what you preach” that”s why I love writing these newsletters, it reminds me of what I should be doing, I just had a good clear out. 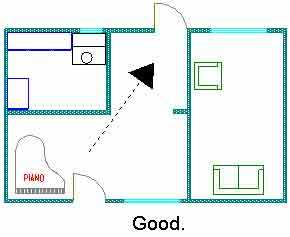 Try and choose a regular shaped property and let your imagination run wild when viewing it, try and look for any resemblance to anything bad in the shape of the building but don”t forget to look for the good points. 12: If you have trees at the front of the house or office make sure they do not grow too high, a good height is about six foot, less than this is better although I am aware some people would prefer higher as it offers seclusion to the home. The reason it should be no higher than six foot is because not only will it cut out valuable light it will also block Ch”i entering the home. The rule is the further the tree from the house the higher the tree can be, the example above is for trees that are approximately 15 – 20 ft from the front of the house. Trees at the front should never be higher than the house though. The best example I can give is try and imagine you are Ch”i and you need to walk about your home/Office and also round the garden. Can you walk freely without obstruction? Do this little exercise inside and outside your home. Is the large storage chest in the hallway slowing you down? Is the clutter in the office making you do a detour around it? Oops did you trip over the books in the study? Remember Ch”i is like air it needs to flow freely around a property inside and out. 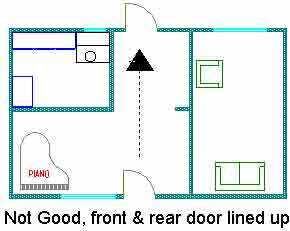 Next articleForm School Feng Shui, all you need to know.